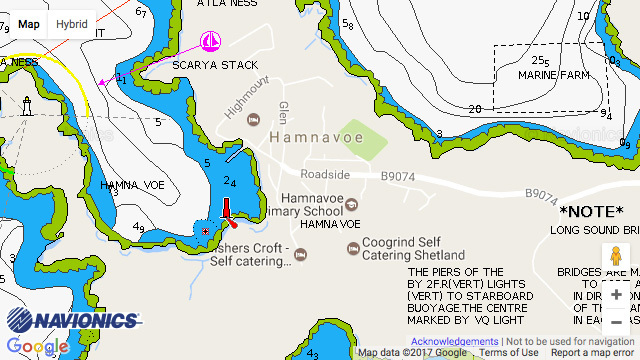 Hamnavoe Marina: Hamnavoe is an attractive natural harbour with a small pier and is an ideal base to explore the nearby uninhabited islands of Oxna, Papa, Cheynies and Hildasay. The pretty fishing village, overlooks the sheltered inlet of Hamna Voe, protected from the open Atlantic by the arm of Fugla Ness and its lighthouse. Marina gates are locked at night.